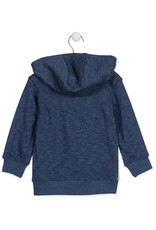 Losan's Kangaroo pocket hoodie for boys. 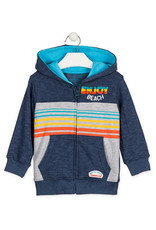 This blue hoodie has embroidered terry towelling detail on the chest. Zip opening and branded metal puller by Losan. 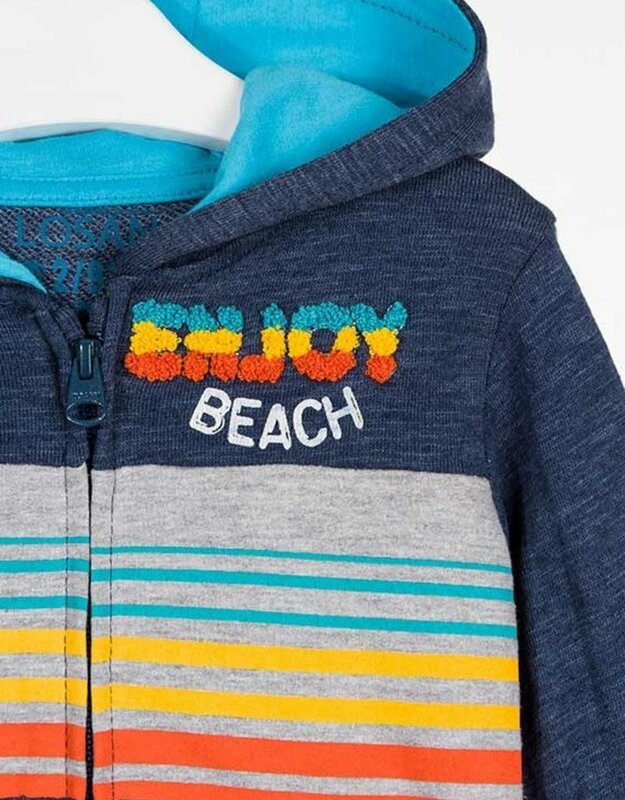 Striped print at the front. 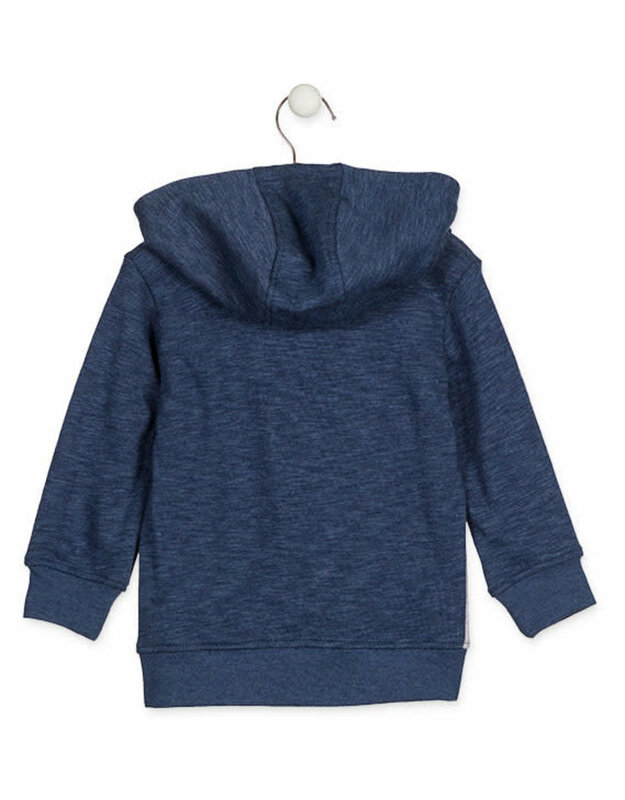 The hood is lined with cotton. Ribbed hem. 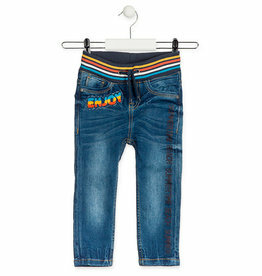 Losan's denim-effect pants with striped adjustable waistband for boys. 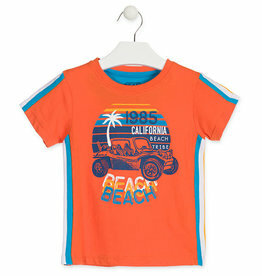 Losan's jeep beach print t-shirt with side stripes for boys. 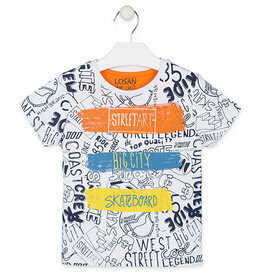 Losan's white t-shirt with street print for boys. 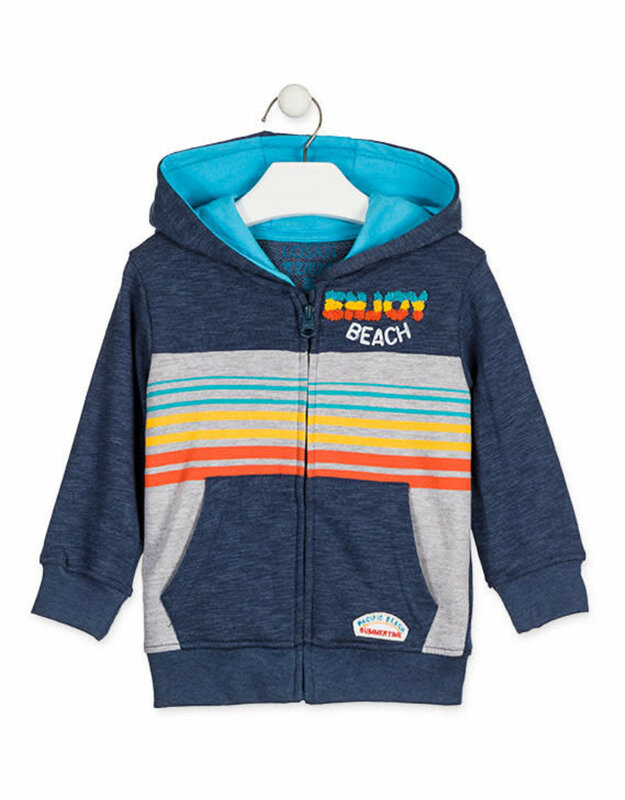 Losan's blue marbled jogger shorts with roll-up detail for boys.Buy Losan baby & kids clothes designed in Spain.